Visit our showroom in Fort Wayne and see the best selection and designs of carpet, hardwood, laminate, luxury sheet vinyl, luxury vinyl plank (LVP), luxury vinyl tile(LVT), ceramic, porcelain, and area rugs in our beautiful Fort Wayne carpet and flooring showroom! We have the best carpet in Fort Wayne! 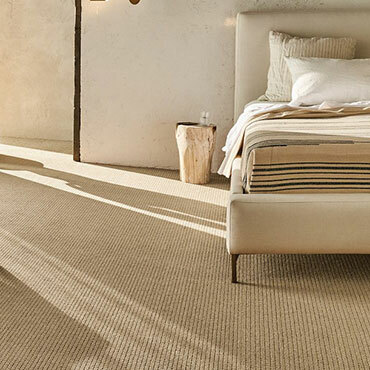 We offer the most beautiful designs and flooring options from Mohawk, Shaw, Karastan Carpet, Fabrica Carpet, Masland Carpet, Lexmark, Kane, Kraus and Stanton. 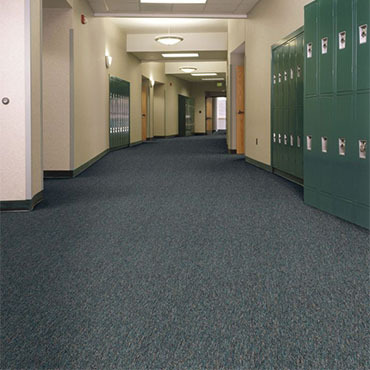 We also have both residential and commercial carpet and hard surface flooring to accent your home. We are dedicated to helping you find the perfect look for the best price! You may also choose from our impressive selection of hardwood flooring from Anderson Tuftex, Preverco and DuChateau. 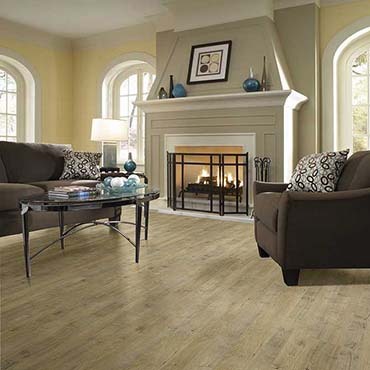 Be amazed at the look and comfort of our luxury vinyl flooring, available in tile, plank, and sheet or let us help you enhance your home with porcelain or ceramic tile for flooring, custom tiled showers, backsplashes, fire places or walls - the best in Fort Wayne! We invite you to visit our beautiful flooring showroom in Fort Wayne. If you prefer, you may shop at home by filling out our contact information form to be contacted about your project ideas. Let us make it easy for you! We will work with you to schedule a time to measure your project, bring samples to your home, assess your needs and give you an estimate - all for free. The process of beautifying your home is simplified at Michael's! Please take a few minutes to read our customer reviews! Michael's Floor Covering will make it easy, we'll make it right, and we will make it BEAUTIFUL! After interviewing 6 vendors to remove and replace existing carpeting throughout my 2,000 sf home, we chose Michaels and we could not be happier. They worked with us to coordinate a perfect match with the carpet on the 2nd floor and a great install job with the engineered hardwood on the 1st floors plus marbled tile in 3 bath rooms. With internet coupons we were able to afford higher quality finishes that our neighbors want for there homes. I am a veryyy pleased customer who recommends Michaels without reservation. They did a good job. I recently used their services for the first time for carpet removal and installation, and everything went well. The two technicians who did the removal and installation were very nice. They arrived promptly, they were friendly when we spoke, and they cleaned up after they were finished. The carpeting I have now looks great, and I'm very happy with the work their technicians did. I am happy to recommend their service to others. Installation team did a good job. They explained what they were doing. Wrong transition piece was ordered and they had to order the correct one. They installed it within 2 weeks of completing the floor. They called me instead of me calling them. Would definitely hire them again. This was the first time we've ever purchased carpet. I told Bill we were 'carpet virgins'. He was very patient and explained all of our options. We took home a LOT of samples and finally made our decision. I returned all the samples and then went back a few days later and asked if I could take "our" sample again to help us choose a paint color. They gave it to me with a smile. The installers, Ron and Tim, were fantastic as well. Our carpet was installed perfectly! I have nothing but good to say about Michael's Flooring! We visited Michael's prior to buying out home thinking we would do some tiling to the floor. Bill greeted us, listened to us and showed us some samples. When we realized the cost of what we wanted to do, Bill was able to immediately provide us with several smart alternatives. Bill was very knowledgeable about all the products available and patiently helped us make the best choice. Bill and Casey worked it so we could have our flooring done in a timely matter so we could get into our new home. Both the vinyl team and carpet team did an excellent job installing our floors. They were on time, friendly, professional, and knowledgeable. They worked efficiently and left our place clean. We highly recommend Michael's flooring to anyone in need of flooring. Updating the floors in our home was a big project that kept up putting it off until we could juggle all the moving parts. With Hannah's help from Michael's Floor Covering, we had the courage to get started. Helping with selections that made sense and fit within our budget; scheduling the entire project in segments while coordinating with our painters; to awesome installers who staged moving furniture and completing the flooring that brightened our entire home. We couldn't be happier and highly recommend Michael's Floor Covering for your next project. Smooth, quick installation and great customer service thanks to Michael's Floor Covering! They redid all of our carpeting throughout our house as well as the flooring for the kitchen and dining room and I am just so impressed with the results! The entire installation took exactly the number of days that they estimated it would take and the crew kept us updated daily on what they would work on the next day. Their customer service was equally amazing; they responded to all my phone calls in a timely, reasonable manner and their prices were very fair for the entire experience. I would not hesitate to use them again!! Michael's Floor Covering was very patient with me when I was trying to make my choice. They were very helpful and answered all my questions. We used them many years ago, and then again to replace the kitchen and bathroom floors. Michael's Floor Covering was extremely helpful and I liked their expertise. They brought flooring samples to my house, which helped me match the vinyl to the counter tops in my two upstairs bathrooms. The installers arrived on time, worked quickly, and cleaned up well afterwards. I am happy with how it turned out, it's beautiful. Everyone I dealt with was knowledgeable, professional, and friendly. It was very easy to schedule with them. The prices were a little more than some other places, but they have better quality. I felt that it was worth it to pay more for their level of service. I would definitely recommend them. "Michael's staff was extremely helpful in the store, helping us pick out the best carpeting for our rooms (based on wear and sunlight). They came to our house to review the job, take measurements, and review the best direction of cut to save on the amount of carpet needed. We were putting the same carpet in both our large great room and the stairs leading to the basement. They were prompt, extremely friendly, and professional. From the time the carpet was ordered and measured, we only had to wait several weeks for the carpet to be installed. Overall, we were extremely satisfied and would definitely use their services again." "The salesman at Michael's made good suggestions with color coordinated flooring, both carpet, vinyl, and laminate showing us various samples throughout the store. The salespersons provided a "sales carpet" to save our cost. They even went so far as to make several phone calls from the provider for our laminate flooring which needed to be shipped from the northwest part of the U. S. in the scheduled time frame. One of the company's sales people came out and precisely measured our floors even though we had given Michael's our floor plan when our home was built. The company worked with us on out time schedule and with the painter whom we had hired before the floor covering was selected. My personal experience dealing with Michael's was that these people knew their products. They were not out to sell you a bill of goods. They even suggested that the best vacuum cleaner to use, plus the store carries various cleaning products that they recommended for use after their flooring is installed. Each person laying the various floor coverings was very professional and courteous. Never once did we hear any off-color language or complaining. All of these people came at a scheduled time and worked continuously. Their time was used wisely and efficiently. One could easily tell by their workmanship that they were well experienced and particular laying flooring. They were always friendly and well-mannered." "Thank you all for a wonderful experience! Perfect in honoring all of our requests, perfect in appointment set up, perfect in sales and perfect in installation! You don't know what you are missing until you have the very best! Thanks so much!" "Perfect -Michael's did an excellent job. I have already recommended them many times and even to my daughter. She needed some flooring done and Michaels did her utility room, and kitchen, each with a couple layers. It took about 3 days but overall the job was just great." "My husband and I were very satisfied with the work done by Michael's. They were prompt, on time and did not disappoint with their service." "We're really happy with the carpet we got from Michaels Floor Covering. It was our first time using them, and one thing that was a really big plus was the quality of the carpet they carry. We had carpeting put in our living room, bedroom, hall, stairs and dining room. This was the third time we've put carpeting in the house, and it was the most professional and efficient installation we've ever seen. The installers who did the work had 35 years experience, and they were really good. They were polite, and they kept us informed about what they were doing. I would certainly recommend Michaels Floor Covering! The quality of the carpet they carry is amazing, and we had a really pleasant experience. It was not stressful at all, even though they had to move all our furniture out. They were pleasant, timely and professional!" "Very pleased! Michael's Floor Covering did an excellent job! They installed a new tile floor in our basement that looks fantastic. They were very knowledgeable and gave very helpful suggestions on what would and would not work. Their input was very appreciated. They were also very punctual. The price was very good. Overall, the guys who came were very hardworking and personable. They moved several heavy things in order to install the floor. They were really great and I'd recommend them strongly." "It was our first time using Michael's Floor Covering. We had carpet installation done and everything turned out great. There were no issues." Five star Quality! I went to Michael's Floor Covering on a recommendation from a coworker. The salespeople were very helpful with providing samples for hardwood flooring. I actually already had some hardwood floors, and they were able to match what I had to the new stuff. I went to their store on a Saturday. They came on time on Monday and consistently called me with updates. It was a beautiful match, with a beautiful installation. I've Never had that happen before. I can tell you horror stories about getting other things done! "Michael's Floor Covering put all new flooring throughout the main floor and basement of our home. In our basement most of it was carpet, including the stairway going down. In the bathroom down there and the exercise room they put down vinyl. On the main floor they put laminate in the dining room, living room, and entrance going into the great room and all the way around into a breakfast nook and a bathroom. So that was a lot of the main floor. In the master bedroom on the main floor they put in carpet and in the bathroom they put in vinyl tile. We had a flood in the house on the main floor that went into the basement. So they redid everything for us. Everything went fine as planned. It all looks wonderful, really beautiful. They pretty much did what they were going to do at the price they said they were going to do it at. Everything was done in a timely fashion with one minor glitch. The laminate flooring didn't arrive at their warehouse when it was supposed to and they had to change the scheduling a little bit. But everything worked out perfectly and we're happy with it." "I got new carpet for two bedrooms from Michael's Floor Covering. They were very friendly and very helpful in the store showing me different products. The installation guys were very nice and did a very good job. Just go check them out! They have good quality stuff. They've been well rated before and I was happy with my experience and would go back and do more business with them. They have great customer satisfaction as far as I'm concerned." "The salesmen were very helpful! Installers were very professional and neat and were done in a timely manner. Tile and carpet look great! Have had lots of compliments!" "They re-floored my 2000 square foot basement. They were professional." "I recommend Michael's Floor Covering highly. They installed carpeting in the stairway and the upstairs as well as linoleum in the bathrooms. The customer service was very good. The installers were quite professional. The job exceeded our expectations and the price was fair." "I would recommend Michael's Floor Covering. They were timely and well within their estimate. They did the upstairs carpeting in our house. They did a good job and cleaned up afterwards. Everything turned out good. Get an estimate from them." "We bought carpet from Michael's Floor Covering and had them install it. They were here on time and they did a good job. They had to come back and fix one thing for us which they did and everything turned out fine. We had an area where the carpet met up with the floor and was too high so they adjusted it. Their responsiveness to a small glitch proves their support for service and quality." "Michael's Floor Covering did both ceramic tiles and carpeting for us. They did an outstanding job, they helped move furniture, and we were pleased with their above and beyond service. They did things for us that most floor covering companies wouldn't do and we really appreciated the extra effort, as it made the project simple." "Quite happy with the overall experience. The staff at Michael's Floor Covering were very helpful. They helped us find the type of carpet that we were looking for and the installation went very well. The installers did an excellent job and we are very happy with the results. It was a positive experience for us and we are very happy to recommend them." "There is a reason they are number one! They are extremely helpful in finding exactly what is perfect for you. The installers do a great job - even clean up after themselves. We will continue going to them for all of our flooring needs." "Experienced great customer service. Very knowledgeable sales person and good advice. I ordered a custom sized rug and love it. The order arrived on time and the quality is good. Great service. Delivered on time. Good Quality." "From walking in the door to making the final payment we couldn't have asked for more. We had assistance with picking the right type of floor and color combination. The men who installed the floor were fantastic. They made sure every piece was installed correctly and they had many challenges. They were friendly and professional. They limited dust throughout the house. They went above and beyond with "working around" my paint job. Every day they made sure they cleaned up and put all their materials away. 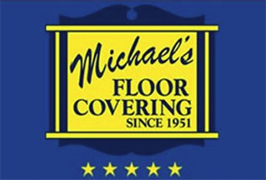 Would I recommend Michael's Floor Covering? You bet, and I will! I couldn't wait to show off my new floors. Thank you to everyone at Michael's Floor Covering for making this whole experience one of a kind :)"
"Excellent, in every aspect. This is our first time using cork flooring. We are very pleased with product information provided before the sale, with the installation, and with the look and feel of the flooring." 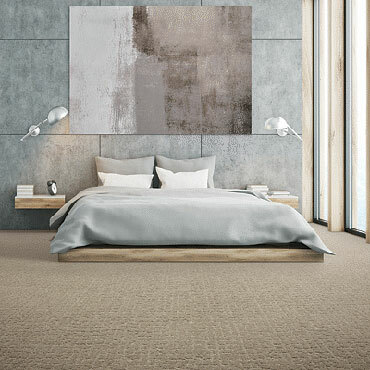 "Even when I walked in the door to purchase the carpet, it was good. The sales people were good, really knowledgeable. They were a great help all the way through." "They were good. We had new wood floors put in our bedroom and office area. It needed to match the rest of the house and it does." "Did quick work. Everyone I dealt with was really nice. They came out and measured, then did the install quickly. Everything turned out fine." "We had the entire 2nd floor of our house ( 4 bedrooms, 2 baths, hall and stairs) redone with carpet and ceramic tile. The master bedroom and closet in a Mohawk SilkStrand line, and the other bedrooms, hall & stairs in a subtle Tuftex patterned carpet. The master bath and guest bath were tiled replacing linoleum. My wife and I removed all the existing flooring and moved furniture to the main floor so the job could be done as quickly as possible. This was a lot of work but saved us a considerable amount of money for the job. The tile was done on Monday and Tuesday and Fridayof week one. It would have all been done on Tuesday but the manufacturer sent the wrong tile for the smaller bathroom. Michael's very quickly reordered in the correct tile and the job was done the same week. The carpet was done on Monday and Tuesday of week two as scheduled. There was a slight issue with the tile being too far into the doorway between the master bath and bedroom. Michael's installers were out the next day (Wednesday) and fixed the problem. We were so pleased with the material, work and responsiveness to the two issues that we decided to purchase and install another Mohawk SilkStrand line of carpet in our living room, replacing a Pergo laminate floor, before Christmas. What a difference it made in that room in terms of warmth, coziness and sound reduction. We were very pleased with the sales, installation and service processes we experienced with Michael's. Tim, Bill, Casey were a pleasure to work with, and the installers were engaging and proficient. Even though we had taken it out of the quote, Michael's put down the finish molding in the bathrooms stained to match the baseboard." "I was looking for something a little unusual. I lost count of how many places in town I checked. When I found Michaels Floor Covering they immediately showed me three samples, two were fabulous, and I picked one out. They called me the next day when they discovered it was discontinued. They looked all over the country to find this flooring, and finally found a supplier that had it. They just put the floor in yesterday. They went above and beyond to give me what I wanted. They are a small business, very customer service oriented, and take the time to listen to what I want, and find what I want." "Michael's Floor Covering installed a vinyl floor in my kitchen. They were very professional and offered many helpful suggestions as to what I could do to keep the floor looking nice. They went beyond what I expected from the installation. They did things that I hadn't contracted them to do. If they saw something that needed doing, they fixed it." A STRAIGHT "A" REVIEW ON ANGIE'S LIST... "We used textured laminate tile to replace old vinyl & carpet. We did the foyer, utility and three bathrooms. Included three small closets and one master closet. Tim forgot master closet off master bath and they had to make a special run to Indy to pick up the extra tile needed. Used diagonal pattern in main areas for distinction. If Angie's list had provision for photos, I would post one of the finished job. It looks GREAT! We have used before for carpet on multiple occasions. Very professional. Installers arrived within the appointed time frame and worked most of the week tearing out the old, prepping for the new and then installing. Finished job looks GREAT! Installers really took their time and got a precision install. They did a good job of matching quarter round to our cabinetry. We needed some carpet repairs due to candle fire and lamp burns. They used leftover carpet from the previous install and we had some of the same pad, too. So the repairs went as well as the laminate installation. Wife is very happy. Got done in plenty of time for Thanksgiving. Will use them again. Would recommend them to anyone!! ASK FOR CASEY." "Everyone I worked with at Michael's were excellent. The guys who came to lay the floor were excellent. I would recommend them highly." "Flawless process! I can't say enough about the great experience we just had purchasing our carpeting from Michael's. Tim & Casey were so friendly, helpful & patient while we found the perfect choice for our family room. The installers were professional, punctual & friendly, and our carpeting looks flawless... all at a very fair price for quality carpeting. Can't wait to go back for more!" ":)"
"Very happy with the new carpet. I was looking for carpet for a room that I had recently re-done. The price was right, the quality of the carpet was right, the padding was excellent. They were able to handle installation within a matter of days. I really like the carpet, I've already had a couple of accidents and all it takes is a quick wipe up and there's no spotting." "You should go to them, because they are good at what they do. I have used Michael's Floor Covering for hardwood flooring, tile and, now, carpet. I tell them what I am looking for, they give me a quote, and give me samples to take home. After I select the product I want, I schedule an installation, and they show up and do it." "Bill was very helpful in explaining what needed to be done to fix the damaged floor. The crew was very professional, making sure everything was done well. 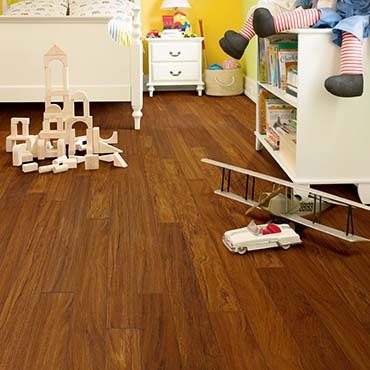 We would recommend Michael's to others and turn to it for future flooring jobs." "We have a basketball court in our home and Micheals' replaced the current flooring along with running carpet up one wall. They then designed and cut out circles in the wall carpet and replaced it with solid coordinating carpet circles, to create a unique solid covering to the wall. It looks amazing and draws lots of positive comments on how 'fun' it is. Tim and his staff are great to work with, they provide individualized service and I know I can count on them in the years to come if I need anything. It was a stress free experience, they provided us with what we wanted and the installers were very professional." "Michael's Flooring was professional, reasonably priced, and quick. From the time I walked into their store till my floor was completed was less then a week! Had laminate flooring installed in both my dinning room and half bath. Had multiple locally owned companies bid and Michael's came in the lowest and had the best rating. They lived up to my expectations, floor installers were courteous and professional. Floors were completed in less then two days. The owner even came by after the first day to check on the progress and make sure I was satisfied. I highly recommend Michael's Flooring and will use them again in the future." "Supply and install one room of carpet. They did what was contracted in a professional and timely manner." 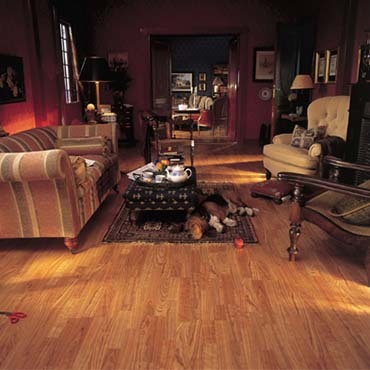 "I have used Michael's Floor Covering. We are currently using them to do back-splashes. They have done all of the carpeting and tiling in our home. They also do wood floors. I trust them and I think their pricing is very reasonable. They are very professional and they do wonderful work. They are very innovative and creative. You can bounce ideas off of them. They take their time with you and they have designers that are wonderful. The designer Ann Beeching and the owner Tim are very good. I would recommend them for anything. We have an exercise room. They created this great design on the wall with carpet." "Guys were super. They went over and above. Result- Just Beautiful." "These fellas are great, I can't say enough about how good they were. They did some flooring for me and put carpeting in three rooms. Casey who I spoke to on the phone was very helpful and very patient with me. She didn't put any pressure on me. The workers that came out were nice, clean, polite, and so efficient. They didn't waste any time. I just love the carpet. It is really nicely laid in the corners." "From the time of beginning to look, purchasing and installation, we had an excellent and rewarding experience. We were very pleased with our new kitchen flooring from Michael's. The installation done by John and Ken is excellent. They are impressive craftsmen." "Sales staff was helpful and offered good advice on materials and styles of flooring. Installers were efficient, quick and friendly. Everything went off without a hitch, and we are happy with the appearance and quality of the new flooring." "Due to the length of time between closing on my modular home and the end of my apartment lease, I only had slightly more than 2 weeks to get the floors replaced before moving in. When I visited Michaels, I told them upfront about that requirement and they worked with me to make it happen. I had to choose in-stock laminate and vinyl and at first, I was worried that I wasn't going to like it. After seeing it installed, I love it. The installers had their work cut out for them removing all the old carpet and vinyl. Since it was a modular home, there were hundreds of staples that had to be pulled so they wouldn't come up through the new floors later. When I received the quote for labor, I thought it was too high but after watching all the care and precision that went into preparing the floors for the laminate and vinyl installation, I realized what makes Michael's so special. They did an excellent preparation of the old floors (repairing when necessary) and the installation of the new subfloors and padding. Everyone who has seen the progress of the work has been impressed with the quality. Thank you Michaels for making this big move less stressful. I'm sure I will be enjoying my new floors for many years to come." "Michael's Floor Covering has always made our customers very happy. Michael's is a pro at prep work that makes a job turn out nice. Thank you!" "The floor is beautiful and the installers did a great job. They were careful and efficient, and cleaned up after themselves. Very professional! Thank you!" "I haven't been this happy about anything happening in my house in a long time! My new floor is beautiful and I'm telling everyone I work with to go to Michael's!" "Once again, your guys did an excellent job! We're getting lots of compliments and telling everyone about Michael's!" "I was very impressed with the variety of products available in the store & knowledgeable staff." "I am very satisfied with the quality & professionalism of the installers & salesman." "Michael's Floor Covering laid our carpet. We got to bring free samples home to pick out what we wanted, and the lady at the store helped us out with that. We couldn't be happier. The two guys who laid the carpet did a very good job and were very personable." "I bought carpet from Michael's Floor Covering and they installed it. The technicians were good and did the job." "I have had a lot of in-home work done over the years and this was by far the best. The people were very helpful in purchasing and the installers were excellent." 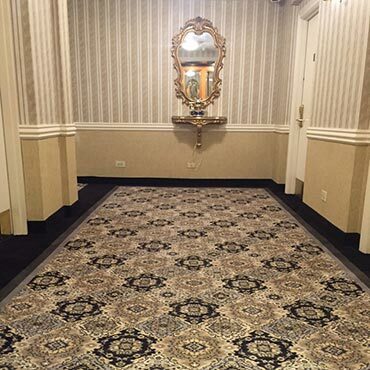 "Michael's Floor Covering did our carpets originally in our entire home. We had a problem with our Frieze carpet when it was a year and a half old, and we weren't really happy that it was wearing back. We spoke to Michael's and they went back to Shaw's, who didn't want to replace it. Michael's went to bat for us, though, and pushed until they got the carpet replaced. Not many places would do that for us. Recently, we had water damage on our floor, so they replaced our hardwood a couple of weeks ago. They did a super job. I wouldn't go anywhere else." "We bought our carpeting, area rugs, and kitchen flooring from Michael's Floor Covering. They have done the installations for the products we buy. All of their work has turned out very nice. We're pleased that they are a family business, locally owned and operated." "Installers made every effort to install floors correctly and clean up as they went. This was a whole-house floor replacement, and they were very helpful putting items back in place. Sales staff answered questions readily and went the extra mile to get us the colors and quality we wanted." "Everyone from the office to sales to carpet layers were exceedingly nice. The installation was perfect with not a speck to clean up." "Dear Tim, Carpet looks FAB! Your installation guys were efficient and polite. Thank you for yours and Ann's assistance. The house is becoming transformed! Thank you." "Thanks! They did a nice job installing the carpet too!" Serving: Fort Wayne, and vicinities.